It is actually a shame that until now, Mati City in Davao Oriental remains to be unknown to most tourists in the Philippines. Up to this day, only a relatively few number of people know of Mindanao’s best kept secret in terms of surfing, skim boarding, and island hopping. 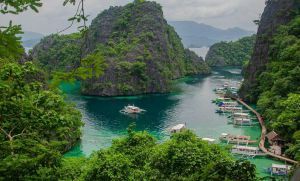 Located at the southeastern most part of the Philippines, in the province of Davao Oriental, Mati is considered to be a tropical haven for the locals and the neighboring areas. Bounded in the east by the Pacific Ocean and in the south by the Celebes Sea, this amazing tourist destination offers exceptional beach experience to all visitors. Going to Mati is easy as it is only a three- to four-hour ride from the famed Davao City. You will know that you have entered this charming southern city once you see lush vegetation bordering the Sleeping Dinosaur landscape (it is called such because the scenery looks like a giant dinosaur enjoying its sleep), one of the natural attractions located in Barangay Badas. During this time, you can also marvel at the turquoise seas and white shores that abound from a distant view. 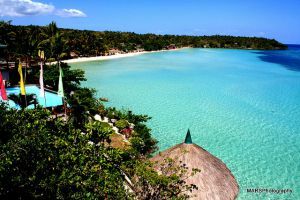 Once you get to the heart of Mati, you can choose from the many activities and attractions that the city has to offer. If you have limited time, make sure that you check out the following on your first visit. Chill or Go Wild at Dahican Beach­ – If you are adventurous and want to try out watersports like skim boarding and surfing, you should head to Dahican Beach which is only a short pedicab ride away from the city proper. The tropical wind and the white sands that outline the clear, pristine sea will greet you, making you want to take a dip right away. 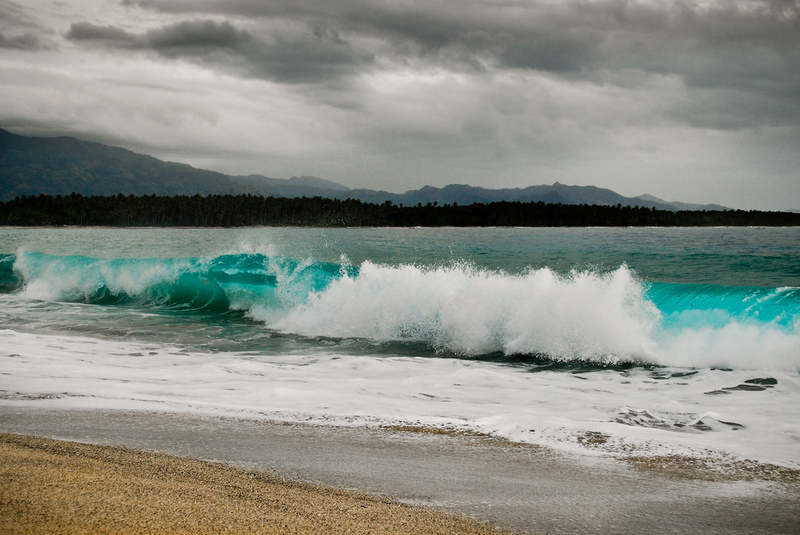 In Dahican Beach, you will meet all kinds of surfers and skim boarders: from small kids to amateur locals. If you haven’t rode a board yet, ask one of the locals to give you a crash course on surfing. PS. Dahican is also perfect for those who enjoy bumming at the beach—the long stretch of white sand and the usual sight of pawikans and dolphins will surely leave you breathless. Dip in the cold and hot springs of Mati – If you want to cool down during a summery day, why not go to Mayo and take a swim in its infinity-pool-looking cold spring that is filled with fresh, cold water from the mountains. If, on the other hand, you want to rejuvenate with a warm bath, head on to Buso Hot Springs nestled inside a forest 7 kilometers away from the city. Go island hopping among the white-sand beaches – Among the popular destinations include Pujada Island and Waniban. While the latter consists mostly of huge rocks, the former is a promising beach teeming with dolphins, dugongs, and sea turtles. If you are lucky, you can spot some of these beautiful underwater creatures while you cruise through the islands aboard your trusty banca. Try out the local delights in the market ­– Mati is popular for its sweet, tangy Menzi pomelo so why not chomp on one during one of your visits to the market. Fill your plate with tasty shrimps, crabs, lobsters, and other fresh seafood that only Davao Oriental can offer. Lastly, never leave the city without grabbing a bite of Mati’s renowned ube turon—yummy smashed ube covered in lumpia wrappers. There are actually a lot more surprises that Mati City can offer to people from all walks of life. So if I were you, you should book a trip to this beautiful place before more and more travelers fill its breathtaking beaches and natural attractions.